Sandhurst are a leading manufacturer of high quality office desks and office furniture, the EMP-DSK519 executive desk blends the quality of construction and finishing which Sandhurst office furniture is renowned for. The large executive corner desk is available in a choice of real wood veneer finishes and is also available in three different sizes. 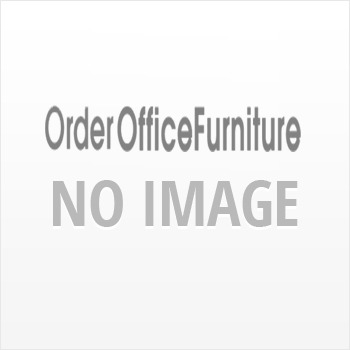 Sandhurst also manufacture quality office storage furniture, meeting room furniture and office and reception seating. On first impression the ultra chunky panels and robust looking design impress, and upon closer inspection the executive desk continues to impress thanks to the quality real wood veneer finishing. Sandhurst have also incorporated numerous thoughtful design features including a specially designed writing pad, a concealed sliding keyboard tray and twin cable management ports. Storage is provided within the included three drawer pedestal and further storage is built into the desk return. The Sandhurst EMP-DSK519 executive office desk is supplied with a mobile drawer pedestal with lockable drawers, these feature a smooth handle free design, the lack of protruding handles reduces the risk of injury when moving around the desk. The Sandhurst desk is also supplied with a desk return measuring 1.6m in width. The return is made up of a PC compartment, a separate storage cupboard, sliding keyboard tray and drawers, providing ample storage for the needs of most home and commercial offices.